Single DIN and Double DIN are the two main radio sizes which feature on modern automobiles. They are also popularly written as 1 DIN and 2 DIN. The system was standardized by the German Standards organization Deutsches Institut fur Normung, or DIN for short. Though both systems were popular in the past, in recent years, 2 DIN has far outstripped 1 DIN as the format of choice for car manufacturers. So it can be safely said that one size is indeed superior to the other, barring a few exceptions. If your car has 1 DIN slot, you cannot put a 2 DIN deck in it. But conversely, 2 DIN slots are large enough to accommodate 1 DIN decks or head units. So the question of a choice between both sizes only arises if your car has 2 DIN and you want to pick a new head unit. 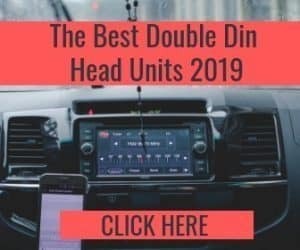 So here are some compelling reasons why 2 DIN head units are better than 1 DIN. This is the single and most straightforward answer to the question: what makes 2 DIN different from 1 DIN. Everything else springs from this primary distinction, including both advantages as well as some minor disadvantages. If you stack together two 1 DIN decks, you will get the size of a 2 DIN deck. 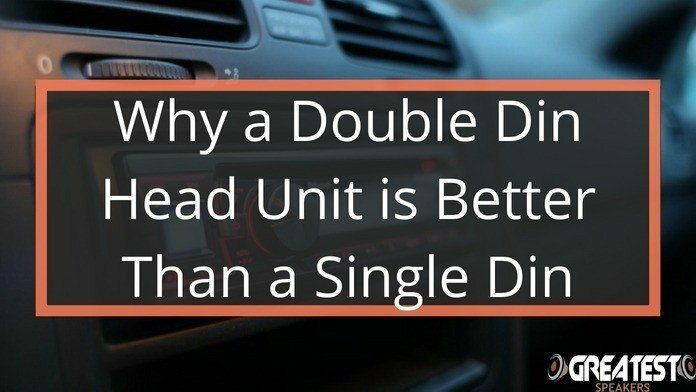 The width of the two head units are the same (7 inches), but regarding height 2 DIN is double the size of a 1 DIN deck (4 inches vs. 2 inches). All that extra space can be utilized for including more and more advanced features, many of which cannot be added to 1 DIN, mainly due to the space restrictions. Due to the size restrictions, the smaller 1 DIN slot cannot accept a 2 DIN deck. If you have a car with such a slot, your only option if you want a 2 DIN head unit is to buy another car that has this slot. But if you have a car with double-DIN, you can put a head unit of your choice. Remember, the slot is big enough to accommodate two single DIN head units. A bigger screen is easier to see and easier to control while driving. If you choose to install a single DIN in a double DIN slot, you end up losing on a lot of advanced features. But thanks to the extra space on this slot, you do get extra storage space as a saving grace. When you are driving, small buttons on the deck can be incredibly hard to spot and manipulate. In traffic, this can be quite dangerous as well, as you may have to take your eye off the road. On a double DIN unit, the increased space translates into larger and more visible control buttons. They are easy to spot and press, often without even taking your eye off the road. This used to be a huge advantage that Double Din head units had over Single DIN. 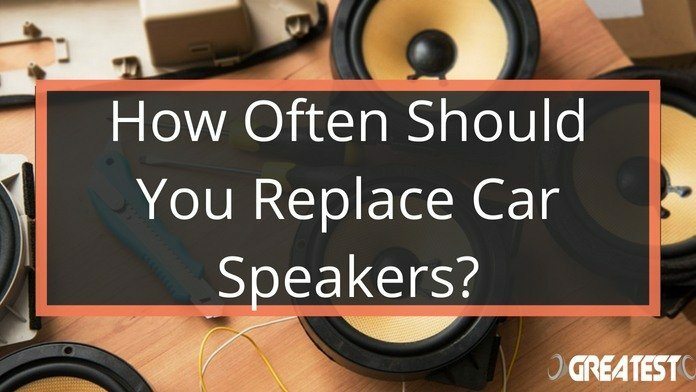 We say “used to” because, with the march of time, the CD/DVD players are also heading down the path that was taken by cassette players a few years ago. But while they are still around, this counts as a solid advantage for 2 DIN. The extra space ensures that you get large displays with lots of information and features like equalizers and playlists. 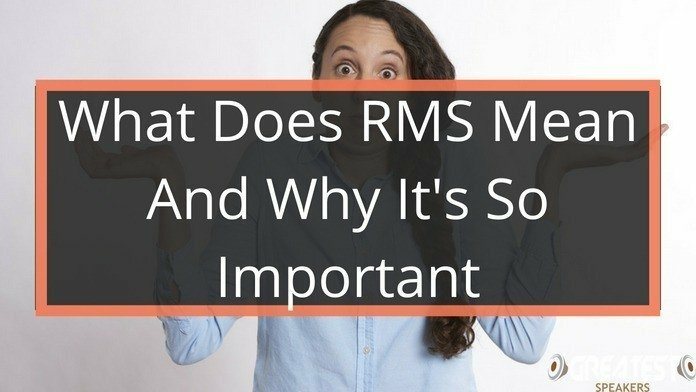 In recent years, this feature has revolutionized the way we use our car head units. Features like rear view camera feeds, which were found only on luxury cars, can now be found on even budget models. All you need to do is buy a head unit with advanced video playback capabilities. These days, the 1080p capability has started to become the norm. 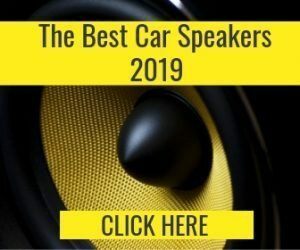 Many head units have features like Apple CarPlay or Android Auto to seamless connect to your phone. When thin cell phones have such advanced features, why should modern head units be any different? 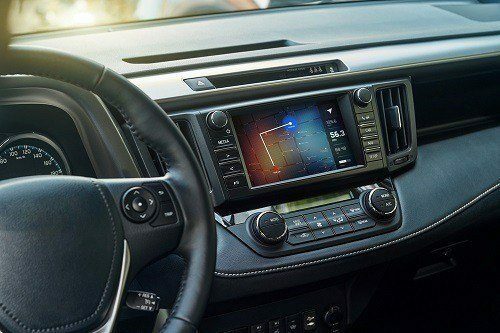 Thanks to the extra screen real estate available on 2 DIN decks, manufacturers have started including features of advanced touchscreen devices in their modern head units. These models have many features you would expect from an iPhone or an Android device. They include advanced touch screens, powerful processors, apps support for software like CarPlay, GPS and navigation software, and much more. 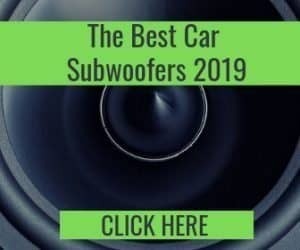 As a continuation of the last point, modern double DIN head units also sport the ubiquitous internet and WiFi connectivity, along with other wireless technologies like Bluetooth. They also have a wide range of connecting slots like USB and micro-USB, AUX, and SD cards. Along with the internet, these slots provide numerous different ways to play your favorite music when you are driving.